The Castle of Catajo is open to the general public by guided tour in the afternoons of Sundays, Tuesdays, and bank holidays between the months of February and November. 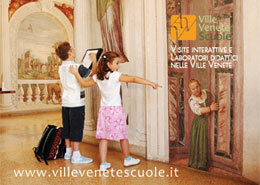 The castle is open year-round to family, school, and summer-resort groups-though bookings are essential. Catajo is also an ideal setting for the hosting of; wedding receptions, business meetings, events, and indoor concerts of up to 350 persons. 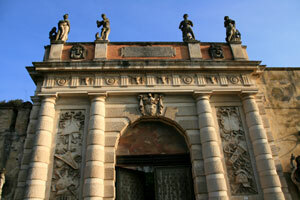 The Obizzi family, whose origins lie in the Burgundy region of France, may be considered in Italian history as ‘a soldiers of fortune family’. The family reached Italy in the wake of the Emperor Henry II, 1007 AD. After originally settling in Tuscany, the family took up residence in the Venetian Republic. At that time, the powerful Republic was rarely at war with the Italian states as its interests mainly stemmed from maritime activity outside of Italy. In a period of peace, Pio Enea degli Obizzi (who have his name to the ‘Obice’-a howitzer siege cannon), attracted by the beauty of the area, decided to build a palace worthy of the magnificence of his family. This castle was designed by Pio Enea himself with the help of architects. It is therefore a cross between a military installation-and the palace of a prince. I was built in just three years, between 1570 and 1573(with the exception of the uppermost wing, which dates from the 19th century). 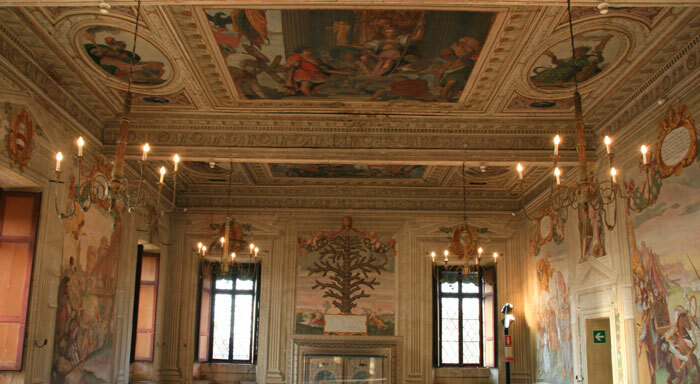 Paintings depicting the families exploits were originally planned to cover the exterior walls of the structure, however that plan never came to be, and in 1571 Pio Enea had the interior walls frescoed with the those same exploits. The artist was Gian Battista Zelotti, a pupil of Paolo Veronese. The castle looks like a massive structure. Perched between the hills behind it and the canal that flows before it, the outer appearance is that of a medieval castle. But, the richness of the interior decoration reflects the elegant and refined taste of the Renaissance. The location served the dual purposes of providing housing to the soldiers of Pio Enea as well as an appropriately magnificent setting to receive distinguished guests. During the visits in the castle you will be lead by an official guide who will reveal and explain for you the peculiarities of the complex. From the main entrance, you will reach the ‘giant courtyard’ which the was often used to stage play(dearly loved by the Obizzi) as well as tournaments-including water tournaments, since the lower ground level could be filled with water.